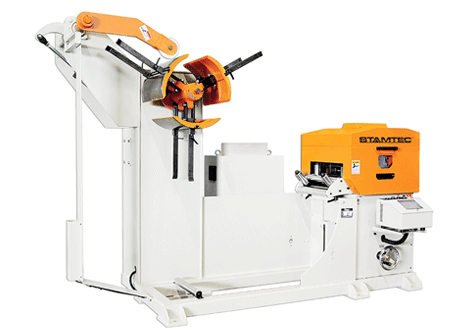 Press Feeding Production Lines | Stamtec Inc.
Stamtec designs, engineers and integrates complete press feeding production lines, capable of processing a wide range of material types, thickness, yield strength, widths and weights. 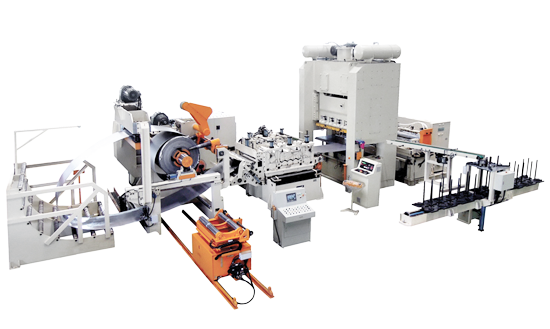 Whether you need slitting, blanking, transferring or press feeding capabilities, we build our custom line solutions with equipment designed specific to your needs and requirements. 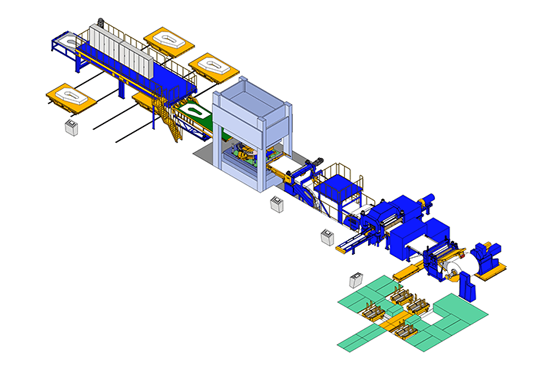 Review the information below and then contact us for the press feeding production lines your operation needs. Coil car automatic loading and automatic threading. Micro feeder device to reduce waste of material. High accuracy straightening device. Able to process maximum width 2000mm, thickness range 0.3 - 6.0mm, and maximum weight 35 tons. Feeder driven by servo motor. High feeding accuracy. 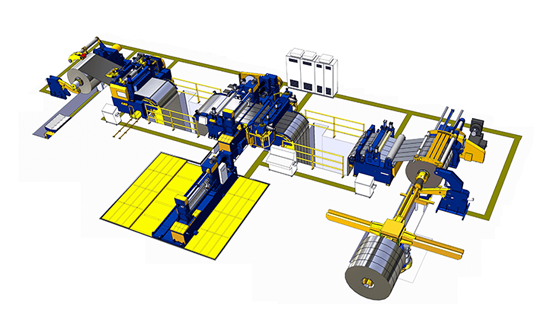 Production lines customized according to actual needs.